On April 24, 2014, Wadjet Eye Games will release the fifth and final installment of the Blackwell series, the graphic adventure series that brought Wadjet Eye into the light as a stand-out independent game developer. The Blackwell series began in 2003 with a game called Bestowers of Eternity, a free downloadable game that can still be found in the AGS Archives. The free game garnered a surprising amount of attention, and Dave Gilbert, the creator of Bestowers of Eternity, decided to revamp the game and re-release it as a polished, commercial product. And so, in 2006, Dave Gilbert founded Wadjet Eye Games, releasing The Shivah and the first game in the Blackwell series, The Blackwell Legacy, in the same year. The subsequent Blackwell games released as follows: Blackwell Unbound released in late 2007, Blackwell Convergence released in the summer of 2009, and Blackwell Deception released in the fall of 2011. All of these games can now be purchased through the Blackwell Bundle on Steam and gog.com. And now, after eight years (eleven, if you count Bestowers of Eternity), the Blackwell series is coming to an end. It’s sort of a bittersweet feeling, being excited for the final installment of such a beloved franchise, but knowing that after that, it’s the end. And so, in honor of this week’s release of Wadjet Eye’s The Blackwell Epiphany, I want to share my top five reasons for why you should get excited and pre-order the game. I’m telling you, this Thursday is going to be great! No, really, I’m serious! For those of you who love graphic adventure games, such as Gabriel Knight: Sins of the Fathers or the Monkey Island games, the Blackwell series is the perfect addition to your PC-gaming collection. And what other game can you think of in which you get to play as a struggling writer in New York City who just happens to be a medium, and then alternatively play as her mystery-solving partner, who just happens to be a wisecracking ghost? When I first started playing, I was a bit skeptical, but after a while, I fell in love with the series. I found the characters charming and believable, even falling in love with Joey, the ghost who can be crass, but truly has a heart of gold. I found the puzzles difficult enough to cause a hang-up or two, but never had to resort to looking up the solutions in an online guide. And the overall story of the series is just wonderful. It’s hard to put into words how well-written this series is, but these games really do have genuinely good stories. 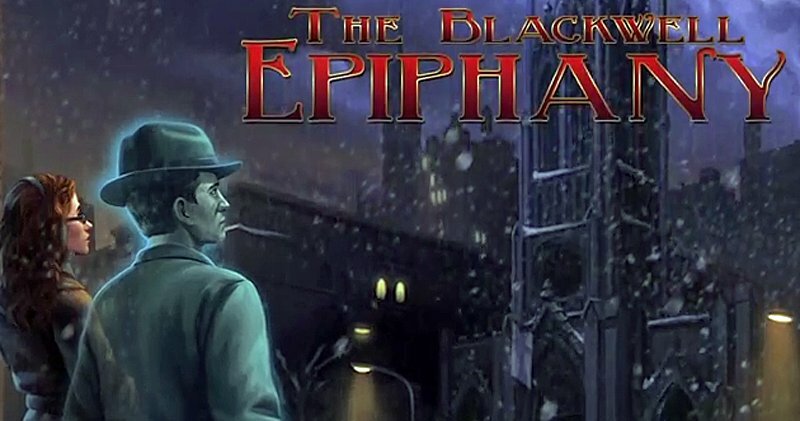 Still not convinced that the Blackwell series is great, and that you should own not only the upcoming Epiphany, but the rest of the series as well? Well then, I’ll just leave this trailer here for you to peruse, and perhaps you’ll change your mind. Seriously, for a graphic adventure game, the trailer is pretty cool. I know I’m pretty pumped for the game after watching it. Wadjet Eye is definitely sending Rosangela Blackwell and Joey off with a bang, and this is just what the fans need to get excited for the final, and hopefully best, Blackwell game. Let’s face it, if you’re going to go through the trouble of pre-ordering a game, chances are you want a little extra incentive to do so, right? Well, never fear; Epiphany includes some fancy exclusive content for those who choose to pre-order. No, it’s not extra levels or character skins or whatnot. Instead, Wadjet Eye is including exclusives that will resonate more with fans of the series. Pre-order customers will have access to video interviews with Abe Goldfarb and Rebecca Whittaker, who voice Joey and Rosa respectively, in which the two will talk about their work over the course of the entire Blackwell series. Another exclusive video will feature creator Dave Gilbert as he gives a video tour of the locations in New York City that inspired locations in the Blackwell games. Those who pre-order will also be able to download the Epiphany soundtrack, will be able to download a DRM-free version of the game, and will receive a free Steam key for the game as well. However, the most exciting pre-order exclusive for The Blackwell Epiphany has got to be the “virtual invite to the Blackwell Epiphany launch party” that the game devs will be streaming on Thursday night. The launch party will be streamed straight from the apartment of Dave Gilbert, and will include a “hangout” and “Q&A session” with the developers. For fans of the series, and fans of Wadjet Eye in general, this particular exclusive is a wonderful opportunity for fans to ask questions and talk with the developers who put so much effort into the series over the years. And honestly, these “exclusives” are a lot more unique and meaningful than the “bonus content” cluttering most pre-orders nowadays. Let’s be honest here, Wadjet Eye Games is not a triple-A development studio. The main team is made up of only four people: Dave Gilbert, his wife Jane Gilbert, Miranda Gauvin, and Ben Chandler. In order for these four people to continue making fun, high-quality games, they need to make a bit of money to pay actors and buy equipment and so forth. And personally, I can’t think of a better development team to contribute to. The people at Wadjet Eye are probably some of the nicest people in the gaming industry. I have personally had the pleasure of speaking with Miranda Gauvin, who also acts as Wadjet Eye’s customer relations rep, and found her to be very charming and helpful. I really want to see these wonderful people go on to be successful in their future projects and endeavors, and by pre-ordering Blackwell Epiphany, or just buying it once it launches, you can help them out tremendously. 5. Come On, It’s Only $14.99!